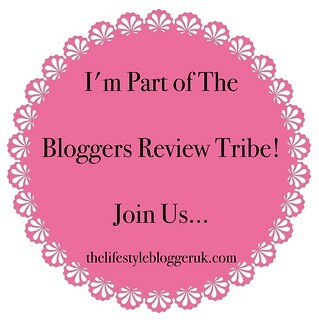 If you don't know I'm part of a blogger collab with other university student bloggers! I've been really excited to start posting on this collab, as I've already wanted to write about my university experience for some time now. In this post I will talk a bit about my course, why I chose it, how and why I chose the university I went to. 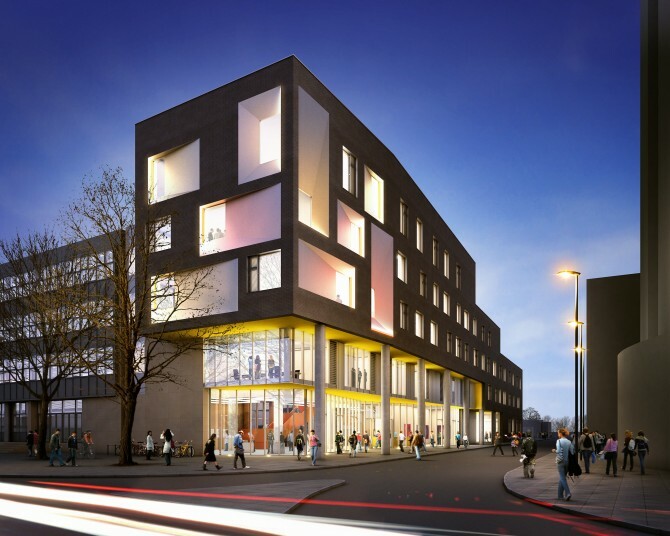 I chose the University of Portsmouth, on my list of options I believe I had picked this as my last option. I wasn't too interested about going to a University on my doorstep (as I lived in Havant at the time), I wanted to move away (mainly to London) and I didn't think Portsmouth was good at the time. After going to interviews and not getting into Ravensbourne (a sort of prestigious film school with very limited spaces), and Bournemouth Arts (Edgar Wright went there, if you don't know of him google is your best friend!). I was quite disappointed with two of the unis rejecting me, I was so passionate about film I didn't understand why they wouldn't want me. But, I thoroughly believe that things happen for a reason. As time got nearer, I looked at going through clearing (a certain time towards going to university where you can give up all of your acceptances to go to another option you didn't choose before), I had looked at going to Greenwich, as it's in London and their film course looked really good! I've always had this feeling that one day I'll have to move to London or near it for my career. However, I chickened out of moving away to London and when I looked around Portsmouth it actually was pretty good! I was still going to move and live down there, but this meant I could keep my job for extra income. If you've read my posts for a while, and even my tweets you'll know that I study Film Production. 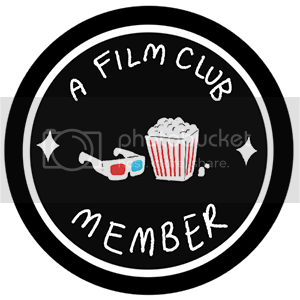 Originally I wanted to be a writer (novels and women's magazines such as Fabulous, Glamour and Cosmopolitan) I then started looking at becoming a film critic, and thought it would be amazing to watch and talk about films for a living! This is obviously a niche as there's only two big film magazines; Empire and Total Film. My boyfriend did a media course at college and it mainly centered around filmmaking, of which I was allowed on set to help out. This was my first instinct that I had to make films, I loved the feeling of being on set and watching something be created in front of my eyes. Although it was my intention to learn more about the filmmaking process to make me a more competent film critic by understanding the ins and outs. As you may have guessed I fell in love with filmmaking. I took a BTEC for one year (as I'd already taken photography, english language and english literature A Levels). I was so confident and creative, I took on every single role, and often created these short videos single handed (they weren't great but I had such a passion and tried new things). So writing took a back seat as I prepared myself for three more years of filmmaking at uni. My course is accredited which means that the industry recognizes it as a course that prepares us for that industry. We have some amazing kit; Arri Alexa, Black Magic and the C300, I've loved learning and using these cameras but at times the kit is limited when there's a large amount of demand even for when it comes to film units. There's a lot of theory to learn as well, at college we focused on the practical side of filmmaking not theory (that would be media/film studies) so I had a lot more to learn than some other students. I haven't particularly enjoyed this aspect, it has been interesting learning about film noir and Hollywood, but I'm just not very good at theory! I'm in my third year now, which means in a few months I will be finished. Gosh I cannot wait! So that's it for my first post of the collab, if you have any questions about my course of university you can comment on this post or tweet me @SaffronWatson_ I hope you liked learning a little bit more about me! Another post will be up in two weeks! 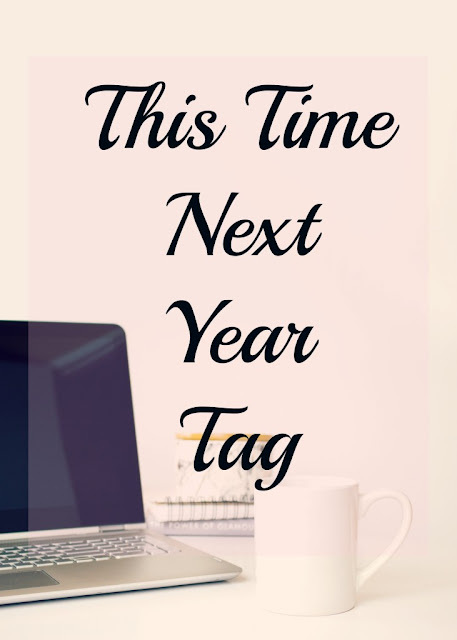 Then, in 365 days write a post reflecting on your goals and what you achieved! Thank you to Cody for tagging me, I really love the idea of this tag! As soon as I hand in my last deadline I'm learning to drive end of! I move around so much I need to be able to transport myself easily and not look like a crazy bag lady...plus I really need it for the industry I'm going into! I'd love to go around Europe, and back over to America and explore more! I know this on my 2017 goals post, but looking back at my bank balance it's going to be quite hard to bring it to life! But, I will keep trying to save and live my dream of travelling for a few weeks! 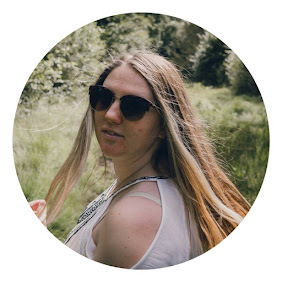 I'd love to still keep up my blogging on a regular basis as I'm really enjoying it, and hopefully I will have done some exciting things to blog about! And attend more blogger meet up, that'd be fab. I have big plans to be as tenacious as possible to get into working on films, be it more runner work, production assisting, literally anything I can do for films or TV series. I will not give up because it's my passion and I will keep trying until it happens! This is something I want to try and work on, because I have become both less confident in how I look, and with going out (of which I've limited myself for a number of reasons) and I missed how confident I used to feel. I was never super vain when I was younger, I still hated and analysed my flaws but sometimes I could feel my confidence radiating out of me if I had a nice outfit on. And I want that feeling back of not caring if people are looking at me, whereas now I completely cover up (maybe a tad too much) because I try to feel comfortable but then I look like a whale. I will be tagging these lovely people! I struggled a bit to think of what I want to be doing (and I mean realistically) but I'd be quite happy if I could be doing/could have done the things above! I wish you guys luck, and tag me in a tweet when you've posted! With it being International Women's Day, I thought I'd do a little post on my thoughts. Being a woman myself, I take matters concerning our gender to heart (like most of us), especially when you see that women still have to protest and march for simple human rights. It's not just our country, it's for the other women in less fortunate countries too. 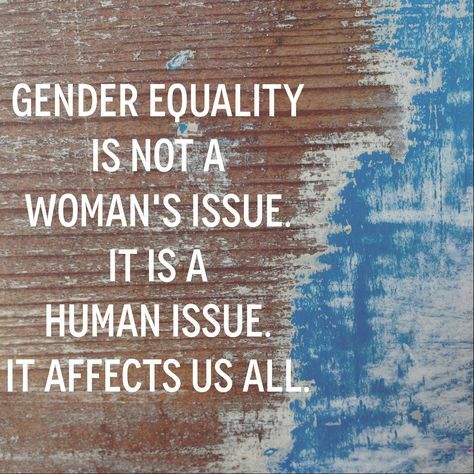 We are more privileged than other countries women, but it's great to see campaigns such as He for She where Emma Watson is an ambassador (learn more here). There have been many incidents where women have been looked down upon and constantly stereotyped. I'm not sure when, but I've always felt independent and wanted to do things my own way, I will always reach the top shelf even though I'm a shorty (5ft2in) I'll put together furniture myself (and I read the manual, that's what it's there for) and that I don't need a man to do things for me. Perhaps it was just because it's the 21st century and there's a lot of messages out there for women to be strong and independent. I think it's important for everyone, male and female to work together, and hopefully help where we can in less fortunate countries. Every one deserves basic human rights and respect. I didn't want to be too preachy on this post, but just wanted to talk about an important matter on International Women's Day. 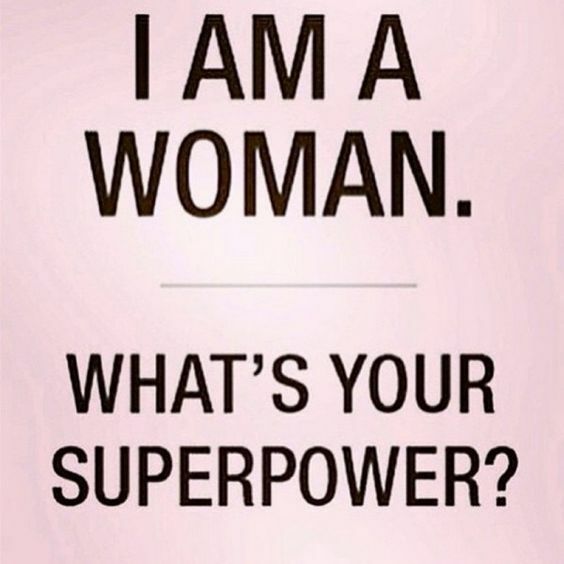 I wish you all a happy International Women's Day, wherever you are! How Cruel Is My Make Up Bag? 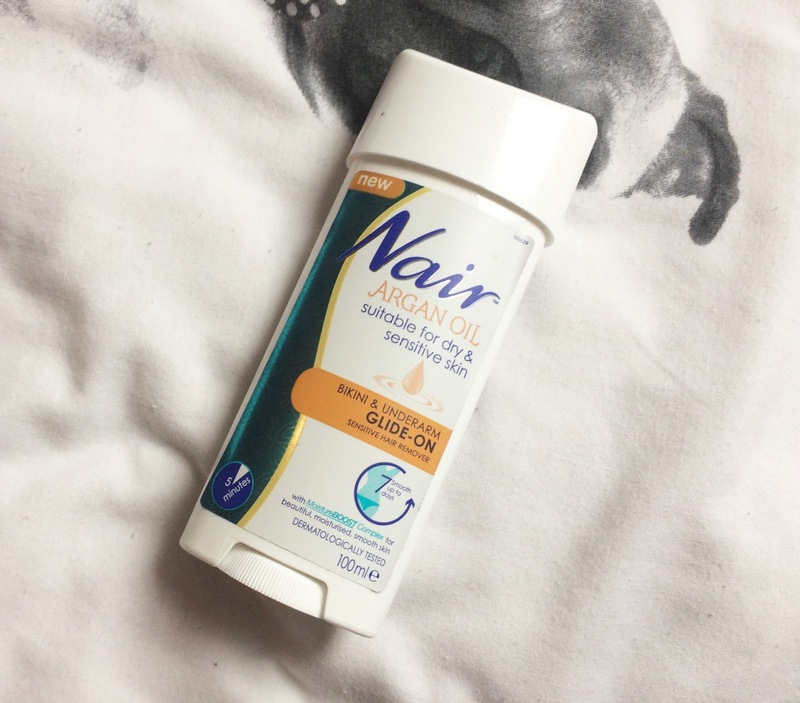 This post is inspired by some YouTube videos, mainly from Hannah Witton's (I love her, her channel is amazing if you haven't checked it out!). This year I have been looking into cruelty free make up and beauty products, as I feel it's something that I have ignored and it's never really in the forefront of the media. It's an issue I've done some research into, and I've found other likeminded bloggers and it's something we need to stop being ignorant about. I can't help but think of the poor animals who didn't choose that life, and it's forever going to change my choice when purchasing beauty products. For this post I've looked on the cosmetic company websites, and a site dedicated to noting cruelty free brands and brands to avoid; Logical Harmony. PLEASE NOTE: Some of what I might say might be incorrect, I've struggled with some of the research as some companies and sites clash opinions and facts and it's all a little vague. But, I will give my honest opinion to what I believe is true. I've looked through my make up bag, to see what things I use regularly that are or aren't cruelty free. On Collection Cosmetic's website it says that they don't use animal testing on any of their products, yet on Logical Harmony it's on the list to avoid. 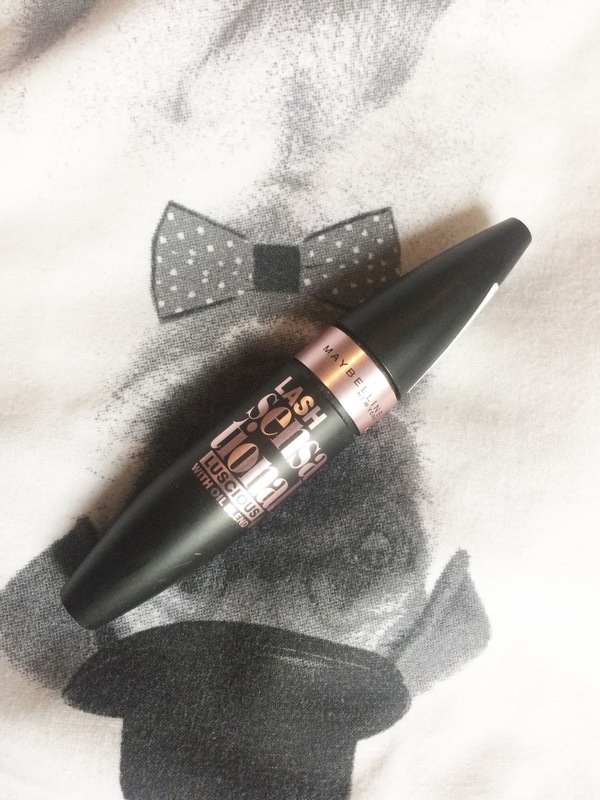 Now, this eye liner is my favourite, I swear by this as I get on so well with the application brush and it gives the effect I'm look for with a cat eye/flick. Before I looked on their website I did assume that they weren't cruelty free, because on the packaging it does say "Made in China". Although I have had this one for quite awhile now, and I can't find this version on their site any more. I had to message Tashina Combs herself (creator of Logical Harmony) as I would be so relieved if this was cruelty free. She replied: "They told me that they do not test finished products, but they may be tested by 3rd parties." In essence their products may not be cruelty free? 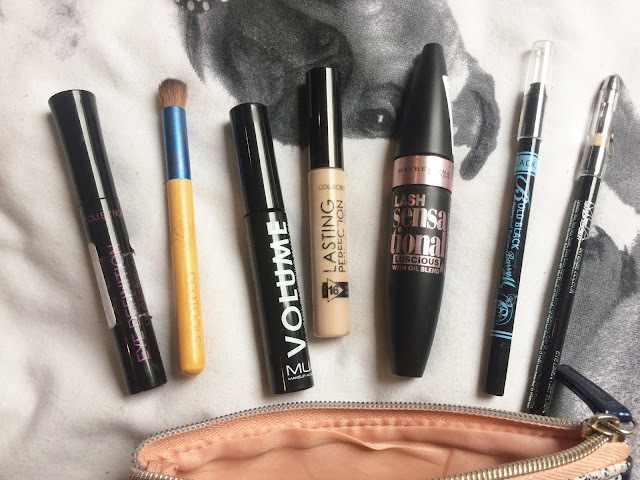 I might have to conduct further research, and perhaps look into a replacement as I would love to have a complete cruelty free make up bag. This would be the same as before, I had been wondering recently if this is the correct concealer for me anyway, as I don't feel like it blends in with my skin. This one will not be further purchased already. I knew this one would be a no because the company is so huge. It's noted that when I asked around about why there aren't a lot of big companies that are cruelty free, what I found was that the companies need to test on animals if they want China to make and sell their products, as we all know it's cheaper to make things in China. This broke my heart a little, that because companies want to make more money they test on animals. The law in China is that they have to test on animals, and I believe it is against the law in Europe to use animal testing, hence why a lot of beauty companies have "Made in China" on the packaging. 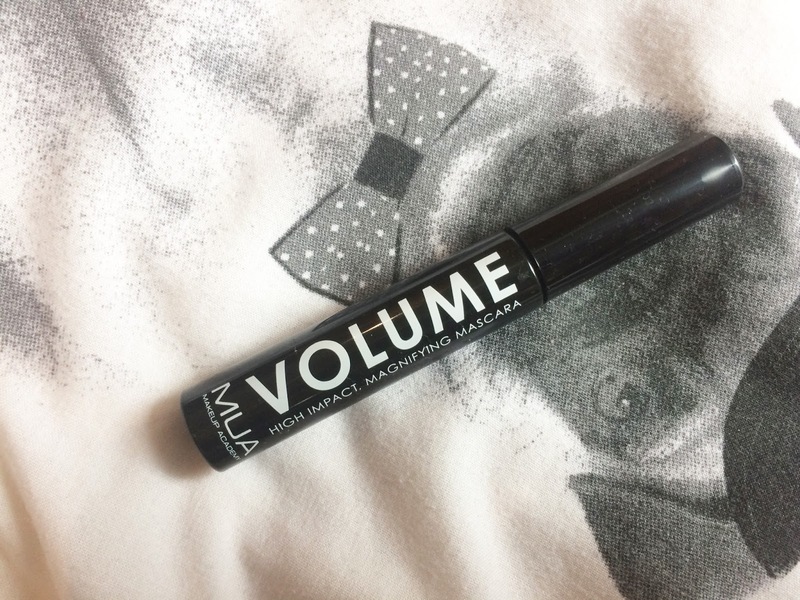 Even though this has been one of my favourite mascara's I'm go to have to part ways with this product once it's run out. When I bought this mascara I was under the impression that it was cruelty free, as I wanted to start converting my make up bag. But, since double checking my facts before writing this post I can't actually find where it says it doesn't test on animals. This is a huge issue I'm dealing with at the moment is deciphering what is and isn't cruelty free. 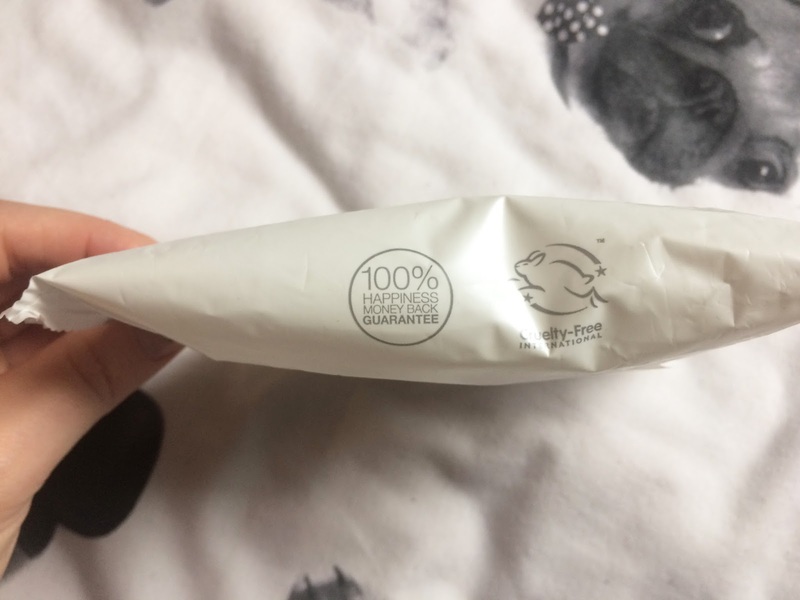 When I first started picking up products and analysing them I couldn't see the PETA approved logos, but then when I looked closer the company had it written on the product. Does it mean the same thing if they don't use the logo? I haven't a clue. 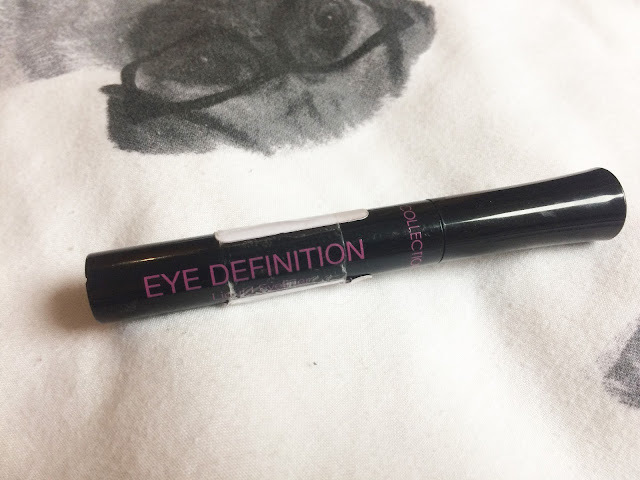 When I tested this product it wasn't the best for my eye lashes, it didn't seem to add any extra volume as my lashes can appear quite short and not visible. Obviously this is the same as the previous product of MUA. It's just a shame, as these affordable brands are perhaps only affordable because they test on animals and get made in China (although I am still a bit confused by testing in Europe). 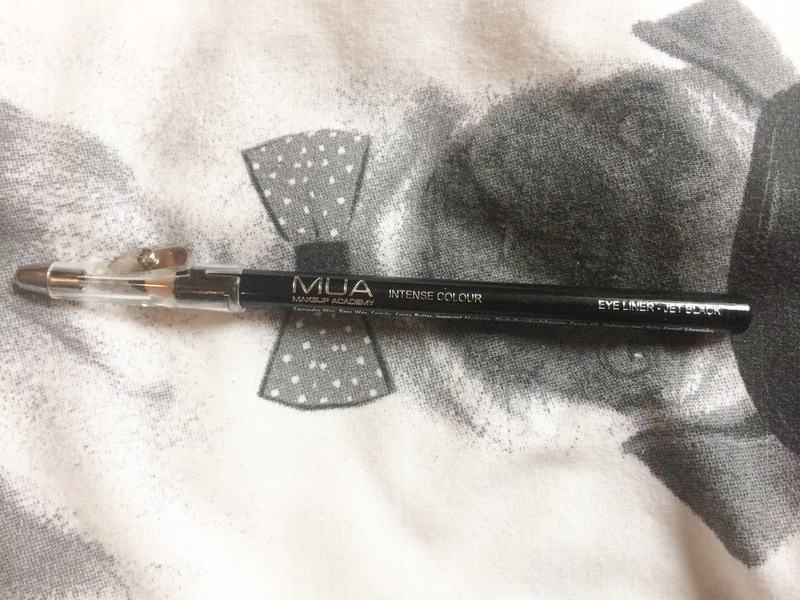 The lid of the liner is pretty handy as it has a sharpener built in for when it's getting blunt, but like most pencil liners for me it didn't last long. This is because I like to have eye liner on my lower lash line and sometimes liners can fade quite quickly in that spot. Oh my gosh, you have no idea how thankful I was that this was cruelty free. 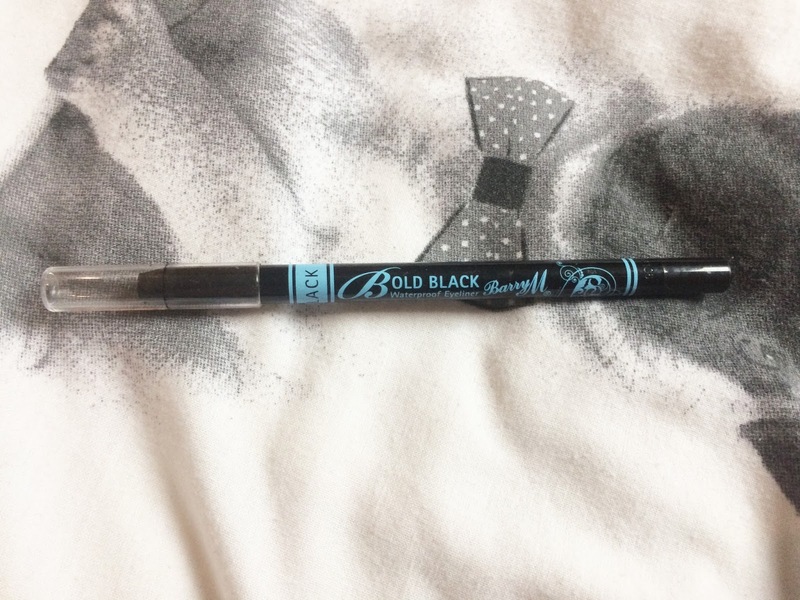 Literally this is my favourite eye liner pencil. Barry M you guys are life savers! On both Barry M's website and Logical Harmony, they are listed as cruelty free. It is noted on certain products whether they are 100% vegan so that's something you'd have to check online before purchasing. But, my god! This liner has lasted through naps and emotional breakdowns, I'm not even kidding, I'm so impressed with how long this liner can last and how BOLD it is. Considering Barry M are quite a big brand, and I've been a huge lover of their nail varnishes for yonks, it was a relief to know I didn't have to give up this brand! I've had an Eco Tools brush set for ages now, and it was a happy surprise that they are 100% vegan! 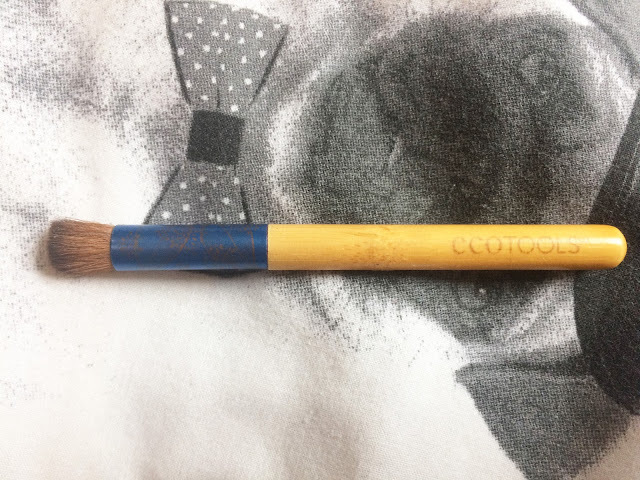 These little brushes are so handy to pop in your make up bags and work like a dream! I believe that Superdrug's own brand are all cruelty free, they will have the bunny logo on if they are. 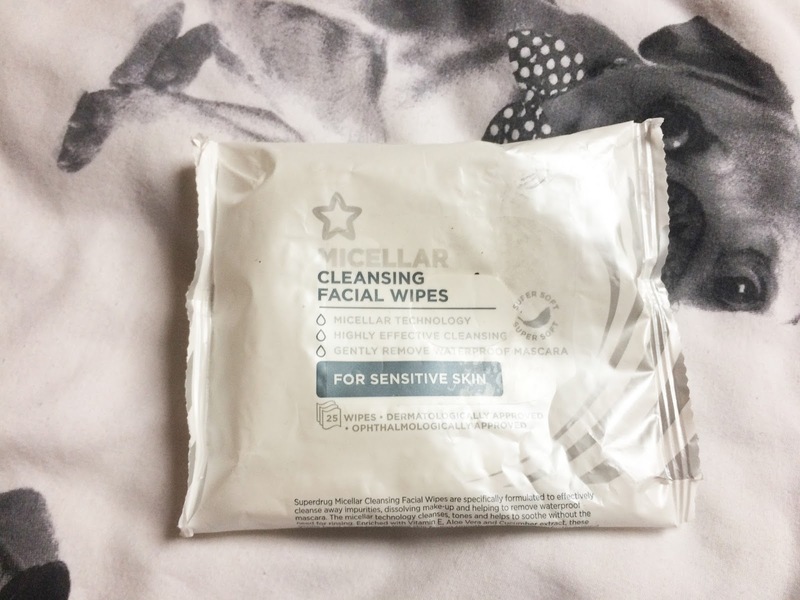 These make up wipes are super affordable which is great! Clean and Clear is listed as testing on animals on both the PETA site and Logical Harmony. 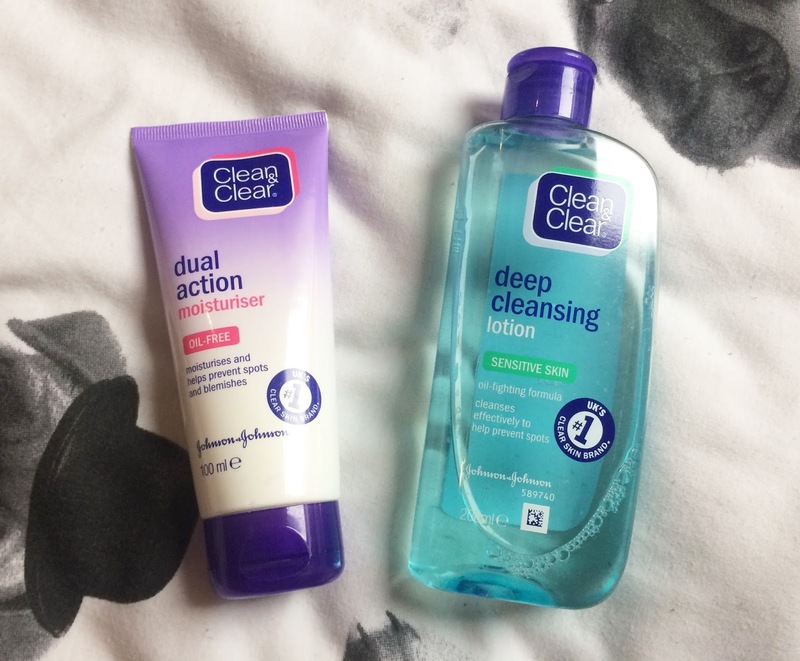 I am truly gutted about these, as I have sworn by both of these products to keep my skin clear and smooth (when I remember to use them). So I will take any cheap alternatives that work wonders! Please I really need the help. There are no words. I did have a feeling that this product might get tested on animals. And I am correct in that thinking. I've used this since I was THIRTEEN. I always carry it around, because well I am a woman and I have imperfections, so yeah I use it. Again, if anyone can help me find alternatives I AM SO OPEN. I need another decent removal cream that isn't tested on poor animals. So that's it! That's the majority of the make up/beauty products that I use regularly. I wasn't surprised at some of the big companies, but my highlight of this was finding out that Barry M are ok! 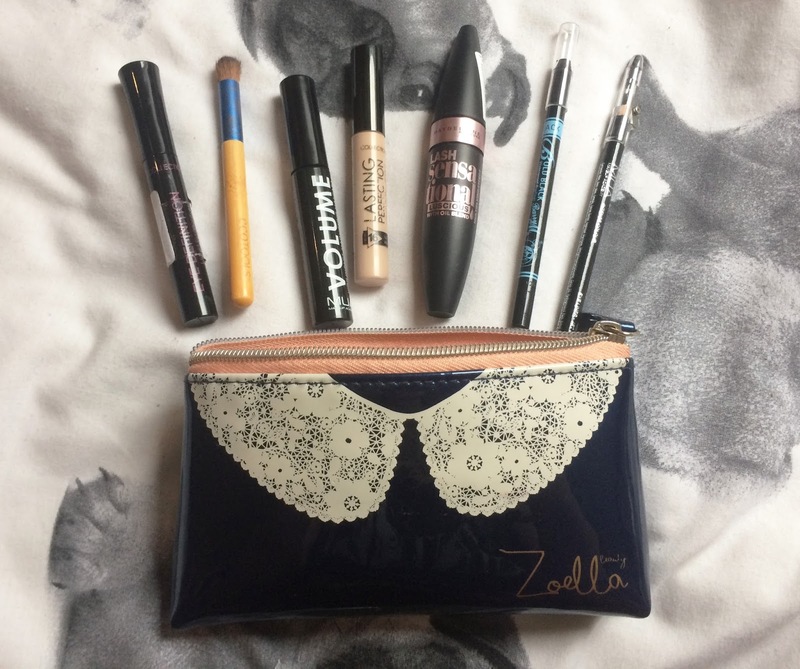 Once I've used up my make up products I am so up for switching over to their products! I know a lot of the blogging community praise non cruelty free products, but I do honestly think that perhaps it's time we all start looking at the truths of the beauty industry. Especially when bloggers love LUSH and they stand against animal testing and even help against the fight.